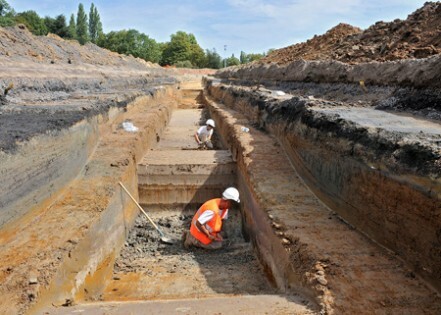 Archaeologists from the INRAP (National Institute of Archaeological Research) are currently conducting preventive excavations on the site of the old Grimonprez–Jooris stadium, north of Lille’s citadel, before construction starts on a new sports field. The excavations began on 1 August and the archaeologists have discovered the remains of a bastion by Vauban, dating back to the seventeenth century. Vauban, was a Marshal of France and the foremost military engineer of his age, famed for his skill in both designing fortifications and breaking through them. 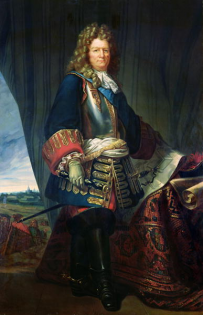 He also advised Louis XIV on how to consolidate France’s borders, to make them more defensible. Vauban made a radical suggestion of giving up some land that was indefensible to allow for a stronger, less porous border with France’s neighbours. The discovered remains date from the years following the conquest of Lille by Louis XIV in 1667. It is a part of the remains of a “flat piece”, built to the north of the Vauban citadel. The archaeologists have also cleared away a part of the moat, situated under the north stand of the stadium, and a half–moon shaped terrace. The bastion was demolished and its moat filled in 1955 for the construction of the athletics stadium that closed in 2004. This part of the citadel was not listed as a historical monument so its foundations remained under the stadium. When the archaeologists dug a trench, they were surprised to discover not only the bed of the Bucquet – a watercourse that was mentioned as early as the thirteenth century –, but also a canalisation dating back to the bastion’s construction. However, the moat has been filled and the team will have to leave the site next week. Despite these somewhat important discoveries, they will not prevent the construction of the new stadium which is expected to be completed before the municipal elections in 2014.